Carrie Bickmore reveals her struggle with mastitis. Carrie Bickmore on her struggle with mastitis: 'The middle of the night is so lonely'. 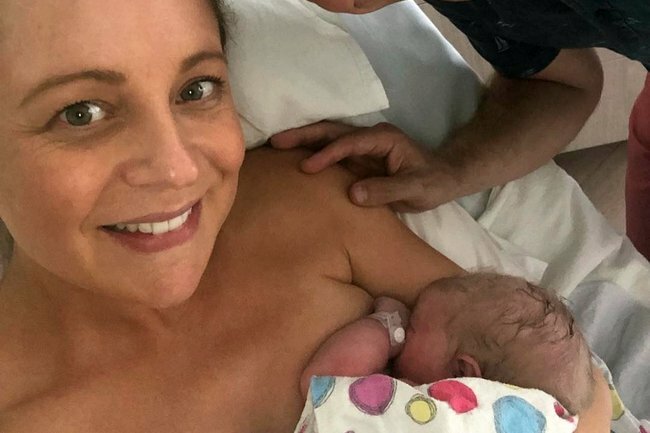 Carrie Bickmore has revealed that since giving birth to her third child, Adelaide, she has struggled with mastitis – a breast inflammation that can lead to a bacterial infection. The Project co-host shared with her Instagram followers that she was struggling to settle her newborn daughter in the middle of the night and dealing with mastitis, when her cousin sent her a comforting message which was just what she needed at the time. “Sending you love if you are awake xoxox”, the text from her cousin, Fran, at 4:42 in the morning read. Bickmore posted a screenshot of the message to her Instagram account, along with her response that read: “Been awake since 1:30am”. It’s the simple things. This message from my cousin was exactly what I needed in the middle of the night when Adelaide wouldn’t settle and I was feeling horrendous with mastitis. The middle of the night can be such a lonely time as my cousin knows all too well with her own kids. Love you Fran. ❤️ Hate you mastitis ???? “It’s the simple things,” the mother-of-three told her followers. “This message from my cousin was exactly what I needed in the middle of the night when Adelaide wouldn’t settle and I was feeling horrendous with mastitis. Bickmore and her partner Chris Walker welcomed their daughter Adelaide earlier this month on December 9. She posted her baby news to Instagram, saying: Welcome to the world little ADELAIDE (or Addie as your siblings have already started calling you) We are absolutely besotted with you”. Carrie had her eldest son Oliver in 2007 with her husband Greg Lange, who tragically lost his life to brain cancer in December 2010. 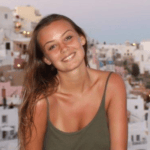 The TV presenter had her first daughter Evie with Chris in 2015.